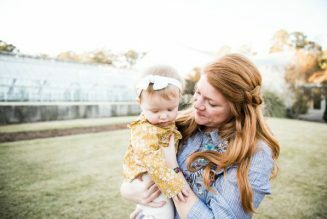 As a business owner and busy mom of two young boys, Emily Forsythe became frustrated with the lack of convenient, fresh baby food options available in the Birmingham area. She wanted to feed her children food free of preservatives, artificial colorings, and flavorings. However, she couldn’t find any baby food to meet her needs. Finally, Emily decided to take matters in her own hands. She started making her own purees, yet she realized that most parents didn’t have time to do that. 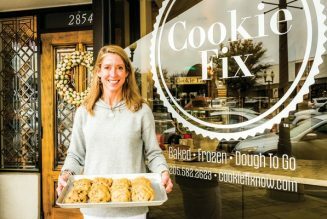 “I made it my mission to make feeding kids real, fresh, local food easy and stress-free for the parents of Birmingham,” she says. With that in mind, she founded Dixie Fresh, a local fresh baby food delivery service based in Birmingham. “Our goal is to make mealtime for babies and toddlers a breeze,” she says. The company offers purees made fresh from organic produce sourced as close to home as possible. 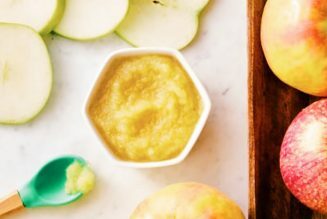 It’s the first fresh baby food business in the state of Alabama. Emily also owns Louise’s Cakes N’ Things in Hoover. 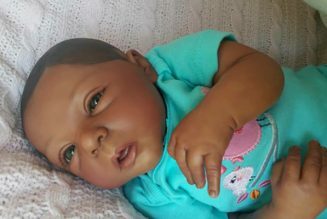 After the birth of her second child, she realized that there was a bit of a disconnect between making sweet treats at Louise’s and what she regularly fed her children. “While I love being able to provide treats for life’s special occasions through Louise’s,” she says, “I wanted to fill the void of everyday meals and snacks to fuel and sustain healthy families.” Dixie Fresh fills that void. Plan for the week ahead. Devote time on weekends to think through the week, make a list, and go grocery shopping. Make healthy eating convenient. Have things on hand that you can quickly throw together in a pinch. 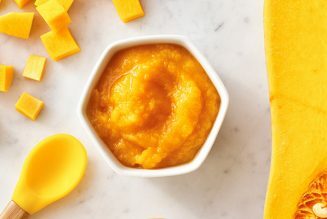 Carrot and sweet potato purees can be kept in the freezer as a nutritious addition to pizza and pasta sauces. Involve older kids in meal prep. 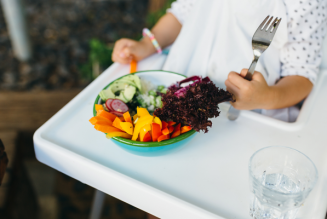 Getting kids involved in the process is key to getting them to eat a variety of foods. After picking out fresh fruits and veggies, kids are likely to be more open to trying new things. Katie is a staff writer for Babypalooza magazine.